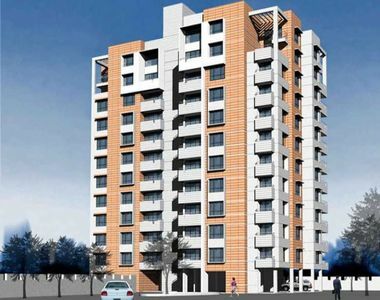 Mani Casa Residency is the latest Residential Project in Kolkata by the renowned real estate company, Mani Group. Spread over luscious acres of land, this development is simply amazing and crafted to perfection. Offering 3BHK Luxury Apartments in Mani Casa Residency and different floor plans, experience an enriched lifestyle that will truly amuse you. The apartments come at a size of 1396 sq. ft., providing lavish space to meet all your needs and requirements. 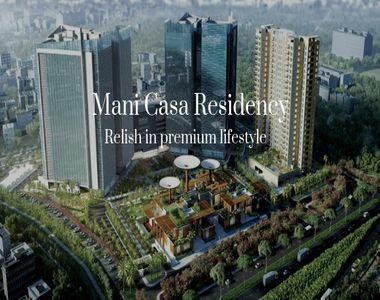 Mani Casa Residency Kolkata is an outstanding residential development that is filled with rich and soulful amenities, both inside and outside as well. The apartments are spacious, provide beautiful natural lighting, cross-ventilation and contain stylish furnishings and fittings, tough doors and windows providing jaw-dropping views, high-quality flooring, splendid kitchens, perfectly located electrical ports for convenient access, multiple safety features and a lot more. The external amenities at this residential development are extraordinary and will always rejuvenate you. They include a well-equipped gymnasium, multiple sports facilities, play-area for your kids, swimming pool, theatre, multipurpose hall for different activities and events and the list just goes on. There is something special for every individual of every age here. You will also find swift elevators, power back-up, 24hour water supply and well-trained security at this development. 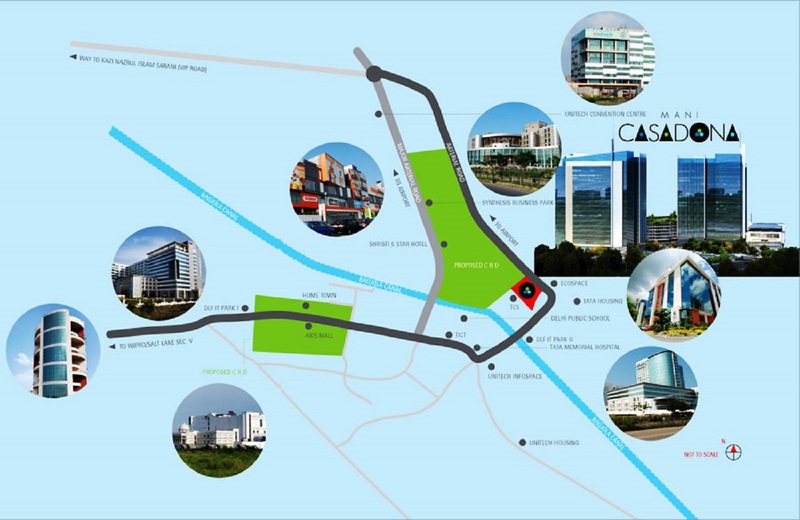 Located at Rajarhat, Kolkata, Mani Casa Residency Rajarhat has all your everyday and emergency landmarks in its vicinity. You can happily access places like hospitals, medical centres, schools, universities, supermarkets, convenience stores, cinemas, cafes, restaurants, shopping centres, malls, banks, ATMs, public transport, etc. within minutes and that is for sure. Experience a new world of convenience like never before when you reside at this development. Starting at a price of Rs.74.68 lakhs and going upwards, it goes without saying that the Mani Casa Residency Price List is affordable and totally amazing. Without a doubt, a purchase at this development is a must for every individual looking out for a luxury apartment with world-class amenities and easy connectivity throughout Kolkata. You can choose from different payment plans according to your convenience and also opt for brilliant home loan facilities through associated banks, NRI services and more. Book your apartment today and open the doors to a new world of modern-day luxury!